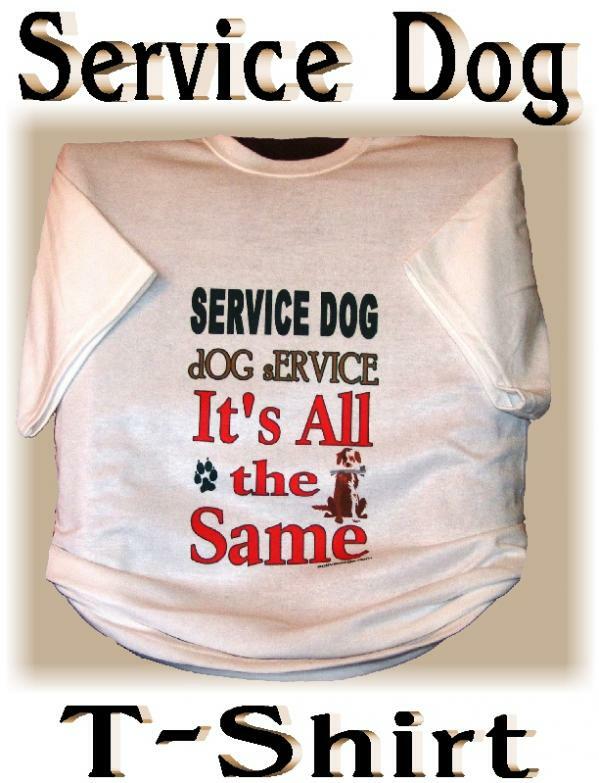 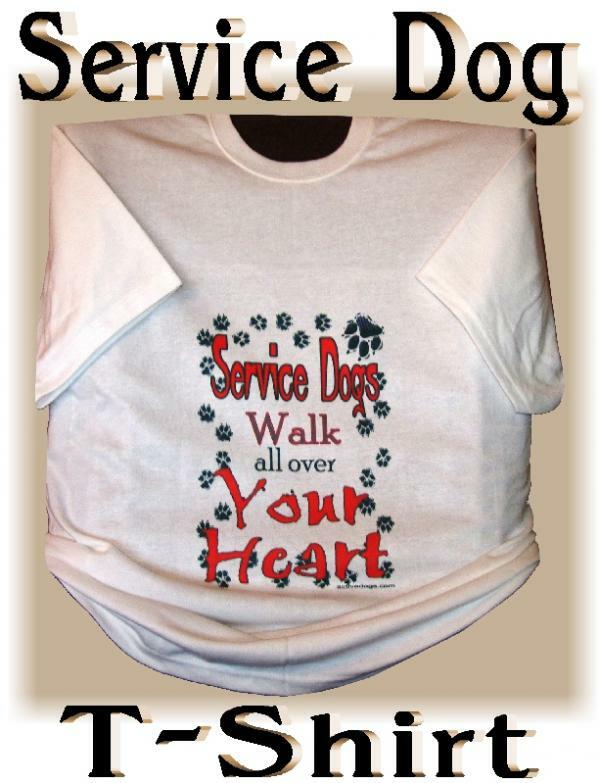 Our Service Dog T-shirts are available in four sizes and four different designs. 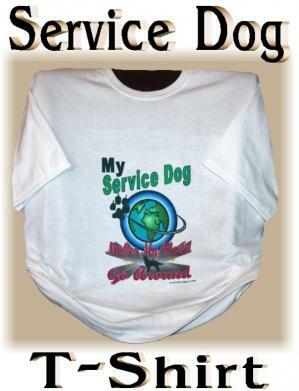 They are a cotton/polyester blend. 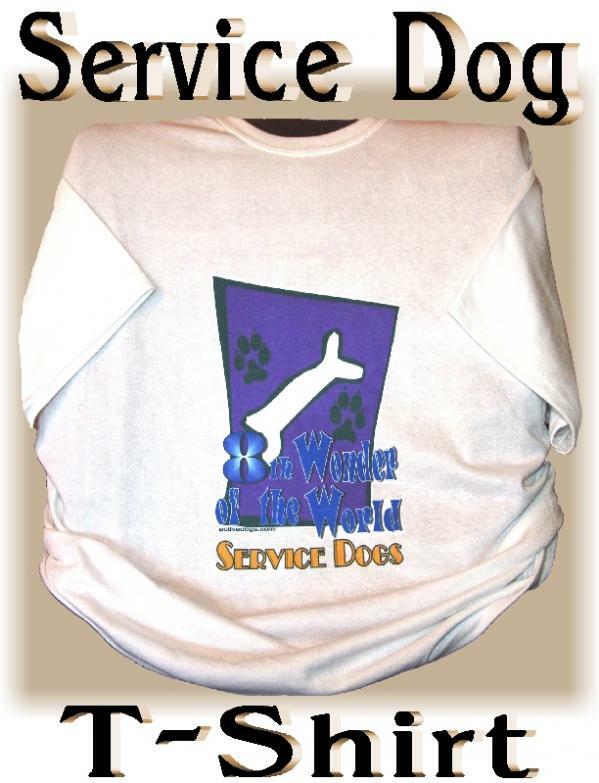 The designs are permanent dyed. 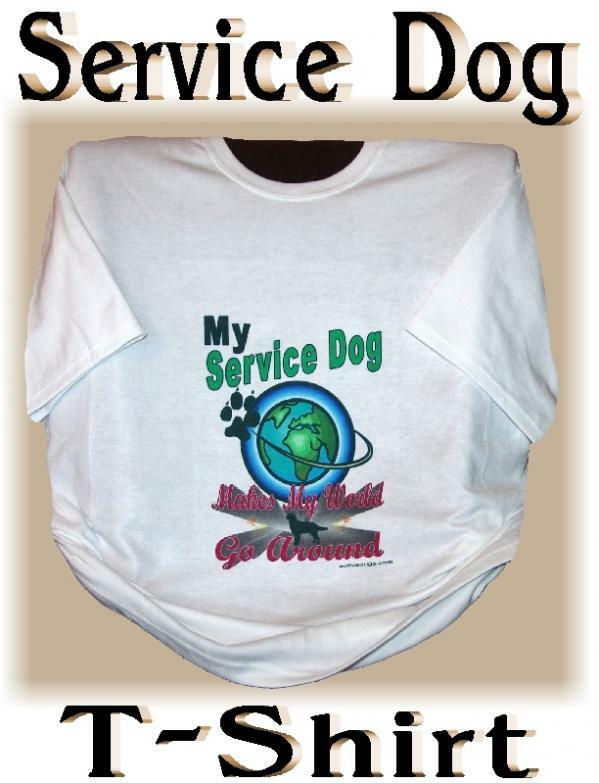 These T-shirts are durable, washable, and dry beautifully.